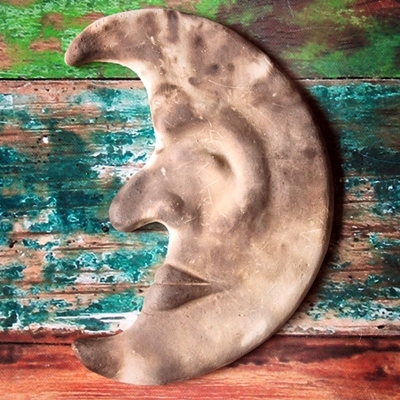 Pit fired moon wall hanging made from earthenware clay. Smoke from the firing process leaves unique impressions. No two are exactly alike. So earthy. Measures approximately 7" (18 cm) high.